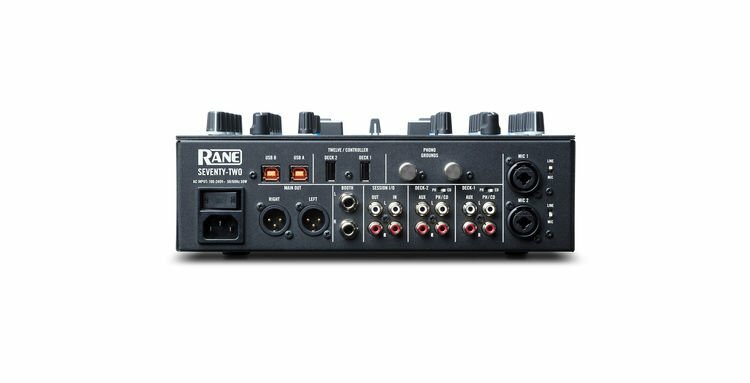 If you approach your DJ mixer like it's an instrument, you'll be impressed with the creative potential in the Rane Seventy-Two DJ mixer. 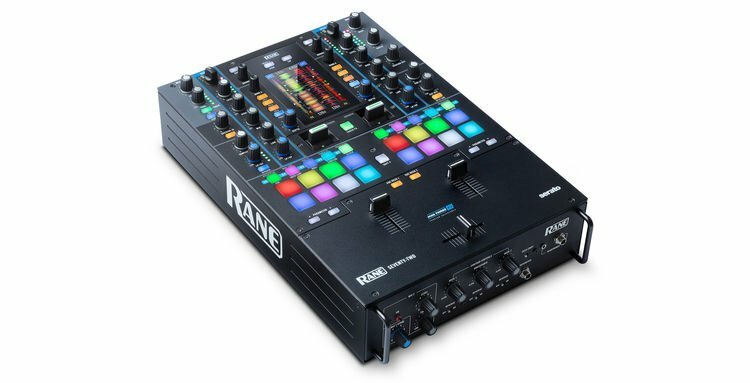 It's a battle-ready mixer designed with input from world-renowned DJs, allowing two DJs to perform with their laptops simultaneously via dual USB connections. And two assignable USB controller inputs support Rane's Twelve motorized control system. Serato DJs will appreciate how the color touchscreen displays moving waveforms and cue points. 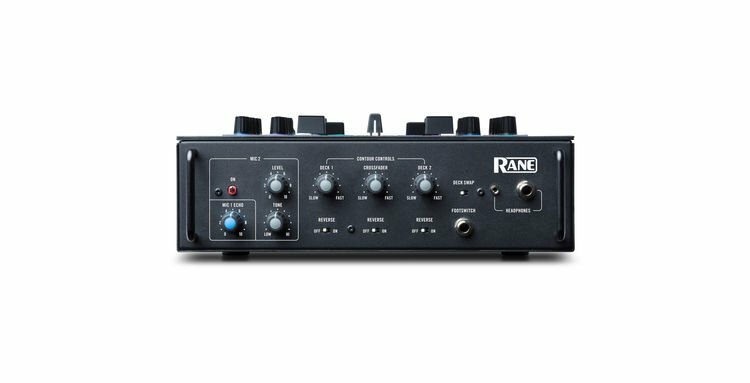 Factor in the amazingly rugged build quality and the Rane Seventy-Two DJ mixer definitely stands out in its class. Solid steel construction gives the Rane Seventy-Two its reassuringly strong stance. Every component feels ready for battle, including the die-cast aluminum FX paddles for real-time effects moves. And the Seventy-Two DJ mixer features three Mag Three contactless faders, each with adjustable tension to fine-tune their response to your preference. Designed to endure years of creative abuse, the Seventy-Two mixer is built to last. 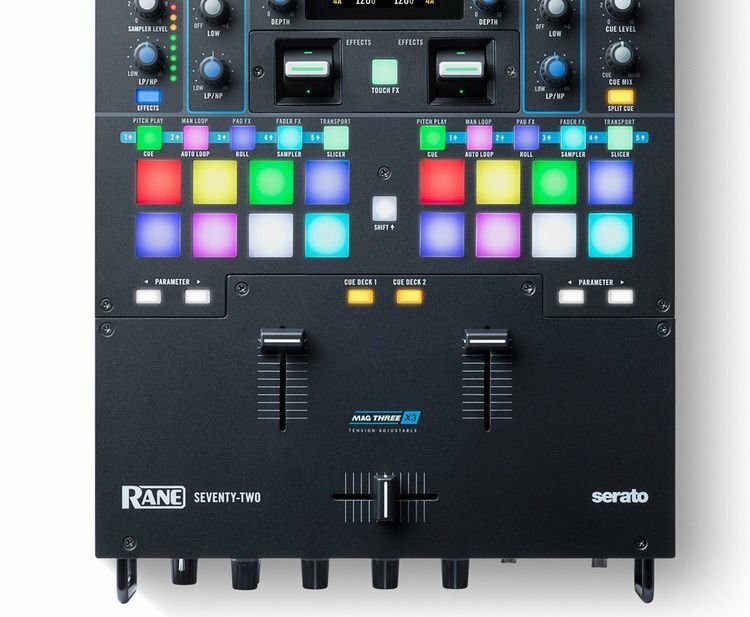 The Rane Seventy-Two is ready for any combination of DJ styles. Dual USB ports allow for two laptop DJs to perform simultaneously — they allow make it easy for a smooth handoff between DJs. Each channel also supports phono inputs with phono grounds for record players, as well as line inputs. And DJs at Sweetwater have found the Deck Swap switch on the front panel to be extremely handy, in times that you may want to swap the full path of the channels. With the Seventy-Two DJ mixer, you've got plenty of hands-on control for creative performances. Each deck features eight MPC performance pads, with independent mode controls per deck. Use them to control things in Serato, control Pad FX and Crossfader FX, or customize them as you please. Each channel supports a chain-integrated Serato software effect control, plus one internal Flex Effect. Dual die-cast aluminum effect paddles are ready to make fast effects highlights to your mix. Whether you're big on effects, playing samples over your mix, or performing lots of crossfades, the Rane Seventy-Two is a highly capable mixer.